Today’s quads had many exciting encounters and close calls for the favorites. NM Ian Harris cruised to a quick 2-0 lead. 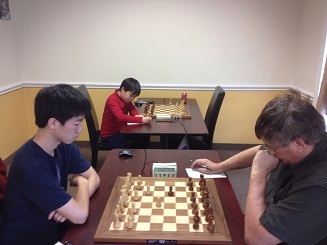 Harris turned a worse position into a win against Mahiro Abe in the final round to take first place. 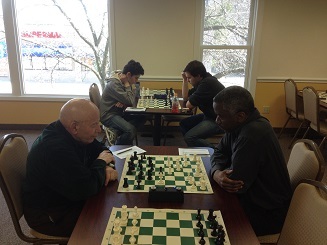 CCFC Director Melvin Patrick had a final round draw against Justin Paul but this was not enough for anyone to catch him. Patrick won the second quad with 2.5/3.